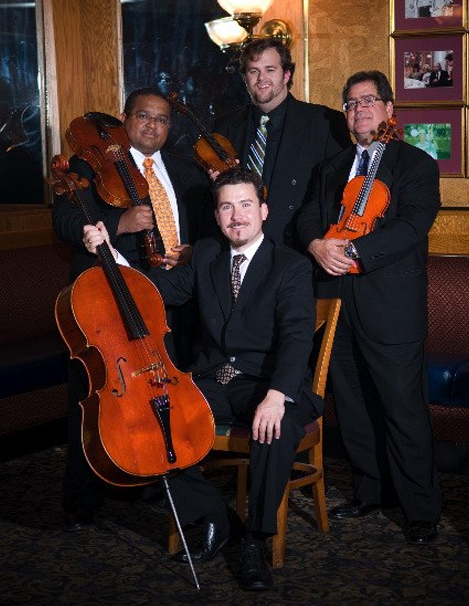 Philadelphia String Quartet :: String Quartet serving Voorhees, NJ wedding music and corporate events. The String Poets is a "network" of musicians that serves Voorhees, NJ. We provide wedding ceremony music in Voorhees, NJ as well as other areas. The String Quartet is made of 2 violins 1 viola and one cello. We can also perform as a String Trio or even a String Duo. We offer classical music, Jazz and pop in Voorhees, NJ. The String Quartet is made of top class musicians and have a world of experince perfroming many genres.